Apples should be sliced at 1/4 inches thick. Place slices on a sheet of wax paper and sprinkle with cinnamon sugar lightly over the apple slices. 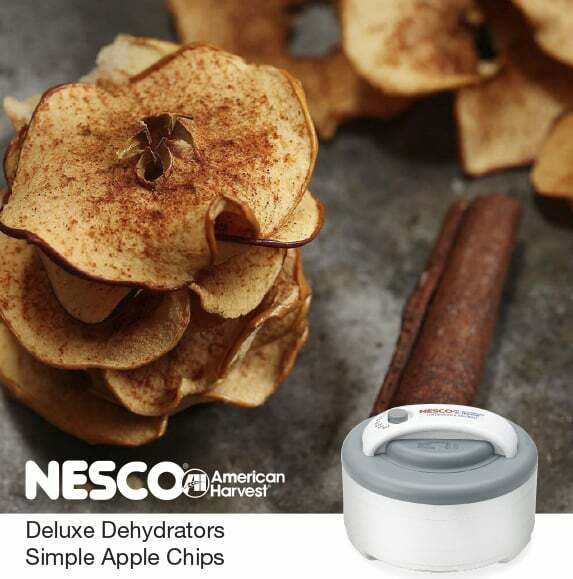 Spread the slices on your Nesco®/American Harvest® Dehydrator trays. Set the temperature to 135 degrees Fahrenheit. Allow 4-10 hours to dry.